To simplify the public’s ability to report fish kills, the Michigan Department of Natural Resources recently developed an online form for reporting fish kills in quantities larger than 25 fish. 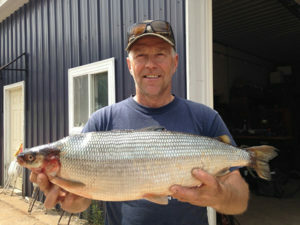 A fish kill of this size could have more factors involved that need further DNR investigation. The new Sick or Dead Aquatic Species form can be found in the DNR’s Eyes in the Field application at michigan.gov/eyesinthefield. 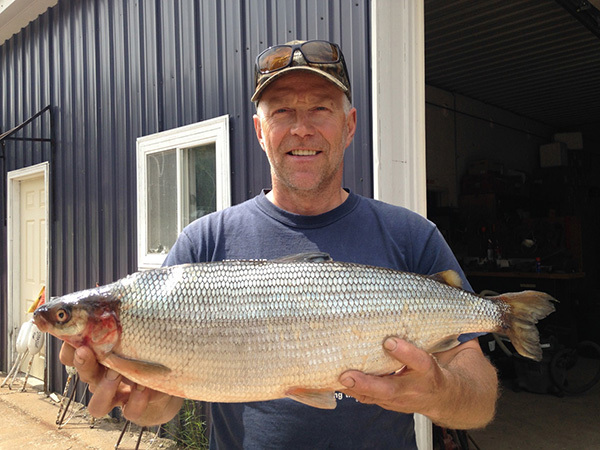 Information requested in the form includes waterbody and location (both descriptive and latitude-longitude coordinates), observation details, and any available photos showing the fish kill. Close-up photos showing any external disease signs such as bloody patches, unusual wounds or odd coloration are particularly helpful to DNR staff as they try to determine the cause of the issue and its seriousness. Entered reports and associated images automatically are forwarded to fish health staff for quicker evaluation and action. The DNR reminds everyone that after the ice and snow cover melts on Michigan’s lakes this winter, it may be common to discover dead fish or other aquatic creatures. Severe winter weather can create conditions that cause fish and other creatures such as turtles, frogs, toads and crayfish to die. Shallow lakes with excess aquatic vegetation and mucky bottoms are particularly prone to winterkill. Fish and other aquatic life typically die in late winter, but may not be noticed until a month after the ice leaves the lake because the dead fish and other aquatic life temporarily are preserved by the cold water. Dissolved oxygen is required by fish and all other forms of aquatic life. Once the daylight is greatly reduced by thick ice and deep snow cover, aquatic plants stop producing oxygen and many die. The bacteria that decompose organic materials on the bottom of the lake use the remaining oxygen in the water. Once the oxygen is reduced other aquatic animals die and start decomposing, the rate that oxygen is used for decomposition is additionally increased and dissolved oxygen levels in the water decrease even more, leading to increasing winterkill. With Michigan’s snowmobile season in full gear, Department of Natural Resources conservation officers remind riders that safety is key to enjoying their sport. Always keep your snowmobile in top mechanical condition. Wear insulated boots and protective clothing, including a helmet, gloves and eye protection. Only ride in designated areas and trails. Check weather conditions before riding and be aware of changing trail conditions. Pick safe places to stop off the trail and never park or stand in the trail. Exercise additional caution when riding on an unfamiliar trail, or when riding at night. Keep headlights and taillights on at all times and keep them clear of snow, ice or other debris. Be alert to avoid fences and low-strung wires. Use caution when approaching a trail intersection, come to a complete stop when required, and look both ways for traffic before proceeding. Stay clear of trail groomers, if possible. Never follow groomers, and give them the right of way. Avoid crossing frozen bodies of water, when possible. If you must cross, never do so while riding in single file. • Wear a life jacket if operating on frozen bodies of water. • Don’t trespass. If you don’t know whose property you are on, you probably don’t belong there. • Snowmobile safety education training and online safety courses are recommended for all snowmobile operators and are required for those who are 12 to 16 years old. 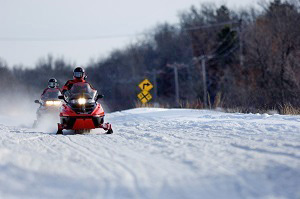 • Snowmobilers also should learn the rules and regulations for snowmobiling in Michigan, as well as the universal snowmobile trail signage developed by the DNR to help ensure safety on the trails. A valid snowmobile registration from the Michigan Secretary of State, or another state or province, is required for all snowmobiles. Snowmobilers also must purchase a trail permit, which is valid for one year (Oct. 1 to Sept. 30), when operating on public trails. Plan to use an ORV on state forest roads? Many—but not all—state forest roads opened to off-road vehicle traffic on Jan. 1. Before riding, make sure roads are authorized for ORV use by checking online maps. The Michigan Department of Natural Resources forest roads maps are found at www.michigan.go/forestroads. Approximately 6,300 miles of roads in the state forest system in the northern Lower Peninsula will open to ORVs. About 1,200 miles of roads will remain closed. Opening the roads to ORV use is authorized by Public Act 288, signed by Gov. Rick Snyder in September 2016. Besides opening roads, the statute required the DNR to inventory and map all state forest roads. Examples of areas that will remain closed to ORV traffic include the Pigeon River Country State Forest, Jordan Valley, Mason Tract, Deward Tract, and Sand Lakes Quiet Area, all of which emphasize quiet recreation. Other roads will remain closed to reduce conflict with non-motorized uses and protect natural resources. The DNR is accepting applications for volunteers to work as campground hosts in Michigan state parks and rustic state forest campgrounds during the 2018 season. It’s a great way to camp for free and get a behind-the-scenes park experience. 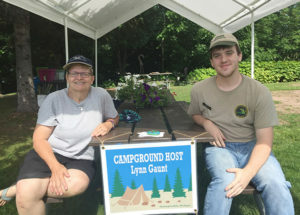 The Michigan Department of Natural Resources is seeking volunteer campground hosts in Michigan state parks, recreation areas and rustic state forest campgrounds for the 2018 camping season. In exchange for 30 hours of service per week, including duties such as helping campers find their campsites, answering camper questions, planning campground activities and performing light park maintenance duties, campground hosts enjoy waived camping fees. Both individuals and couples may apply for volunteer positions that begin as early as April and last through October. Volunteer hosts must be 18 years of age and provide their own camping equipment, food and other personal items. Interested volunteers can click on “campground host” at www.michigan.gov/dnrvolunteers to learn more about the volunteer host campground program, download an application and waiver, and view a vacancy host campground report, which is updated regularly and indicates when and where hosts are needed in specific parks. Hosts are screened and interviewed by park managers and selected based on familiarity with the state park system, camping experience, special skills, availability and knowledge of the area. Hosts must participate in a two-day host training session within the first two years of being selected as a host. The 2018 training will take place June 6-7 at the Ralph A. MacMullan Conference Center in Roscommon. For information, contact Miguel Rodriguez at 517-284-6127 or rodriquezm2@michigan.gov. A sow and two black bear cubs investigate a grassy area where garbage has been left. Photo by Michigan Department of Natural Resources. For many people, the opportunity to see a Michigan black bear in the wild is an amazing experience. Black bears are Michigan’s only bear species. These animals prefer large hardwood or pine forests, intermixed with wetlands, and they can be colored black, brown or cinnamon. Males live in areas that can be larger than 100 square miles, while females—which give birth to an average of two to three cubs every other winter—stay in smaller areas ranging from 10 to 20 square miles. Adult female black bears typically weigh 100 to 250 pounds. Bears have sharp claws on their padded feet, used for climbing trees and searching for food, like tearing open rotted stumps and trees for insects. Many wildlife watchers have a natural curiosity about bears, and the chance to see bears from a safe distance, especially when a sow is accompanied by cubs, often produces moments most people don’t soon forget. Anglers, campers, hikers and others enjoying the outdoors in Michigan may also encounter a black bear. Typically, bears will run or walk away from humans if they become aware of their presence. However, in some instances, bears do not run. In these cases, an adult male Michigan black bear—which can weigh more than 400 pounds and stand 5 feet tall—can present an imposing obstacle. In rare cases, black bears can attack. If they do, fight back with a stick, a backpack, similar available items, or your bare hands. Fatal black bear attacks are extremely rare. According to the North American Bear Center in Ely, Minnesota, black bears have killed 61 people across North America since 1900. Bear experts there say your chances of being killed by a domestic dog, bees, or lightning are vastly greater. In Michigan, while cases of black bear attacks—like that of a 12-year-old girl who was attacked and injured while jogging at dusk in Wexford County in 2013—remain rare, reports of bear nuisance complaints are relatively common. DNR bear nuisance complaints in the Upper Peninsula tallied a bit over 100 for each of the past two years, down from the peak of nearly 250 in 2004. However, in the northern Lower Peninsula, bear complaints in 2016 numbered over 200, a new record for the region. Previously, complaints had peaked in 2003 in that part of the state at more than 160. Numerous factors affect bear complaints, including available food sources and public attitudes toward bears over time as population numbers increase. Many black bear nuisance complaints involve encounters between humans and bears, that were prompted by human behavior. Problems typically occur when humans feed black bears, intentionally or unintentionally. 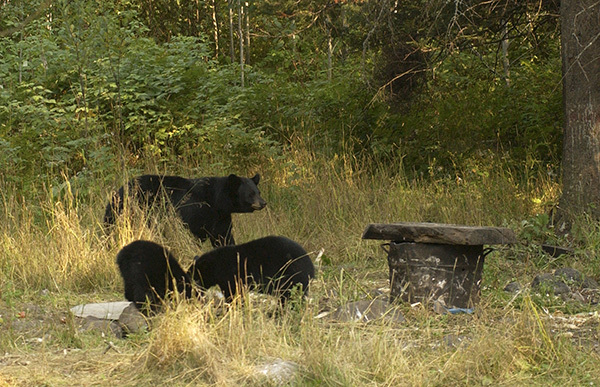 Bears eat foods left near campsites, garbage, or foods left out for pets or wild birds. Remove potential food sources, like bird feeders, from your yard. Do not feed wild birds in the spring, summer and fall, when bears are most active. Keep pet food inside or in a secured area. Keep garbage and odor at a minimum by removing trash often and cleaning the can or other container used for garbage. Keep garbage in a secured area or in a secured container with a metal, lockable lid until it is picked up or taken away. Keep grills and picnic tables clean. Bee hives (apiaries), fruit trees and gardens can be protected from bears by electric fencing. Keep a clean camp, limiting food odors and garbage. Food and toiletries should never be kept in tents. Store these items in air-tight containers in a vehicle trunk or suspend food in burlap or plastic bags or backpacks from trees. Hang these bags or backpacks 12 feet off the ground, 10 feet away from the tree trunk and 5 feet from the nearest branch. Always cook at a distance from your campsite and wash dishes and utensils shortly after eating. Don’t sleep in clothes that have cooking odors or blood on them. Store garbage as you would food. Burning or burying garbage attracts bears. Travel in groups and make noise when hiking to avoid surprising a bear. Get more information on Michigan black bears at www.michigan.gov/bear. See part 2 of this story in next week’s paper. The Michigan Department of Natural Resources will hold a town hall meeting on chronic wasting disease Wednesday, Oct. 25, 6 to 8 p.m. in the Ash Foundation Building, located within the Montcalm County Fairgrounds at 8784 Peck Road in Greenville, Michigan. Earlier this month, the DNR announced that a free-ranging deer in Montcalm County’s Montcalm Township tested positive for chronic wasting disease. Michigan first discovered CWD within a free-ranging deer in May 2015. Since that time, the DNR has tested more than 15,000 free-ranging deer, and 10 have tested positive for the disease. At the meeting, Dr. Kelly Straka, DNR wildlife veterinarian, and Chad Stewart, DNR deer specialist, will provide information on the disease, its effects on deer and deer populations, and how the DNR has responded to the discovery of the disease. There will be plenty of time for questions. The DNR hopes many hunters and concerned citizens will attend, especially those who hunt or reside in Douglass, Eureka, Fairplain, Maple Valley, Montcalm, Pine and Sidney townships in Montcalm County, and Oakfield and Spencer townships in Kent County. Local DNR staff members will be available to answer questions related to hunting in the area, including topics like mandatory deer checks, deer processing and new regulations. CWD is a fatal neurological disease that affects white-tailed deer, mule deer, elk and moose. It is caused by the transmission of infectious, self-multiplying proteins (prions) contained in saliva and other body fluids of infected animals. To date, there is no evidence that chronic wasting disease presents any risk to non-cervids, including humans, either through contact with an infected animal or from handling venison. However, as a precaution, the U.S. Centers for Disease Control and the World Health Organization recommend that infected animals not be consumed as food by either humans or domestic animals. Within seven days of submitting a deer head for testing, hunters will be able to find out the test results for their deer. Learn more about chronic wasting disease at michigan.gov/cwd. 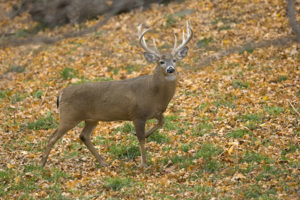 The Michigan Department of Natural Resources is encouraging hunters not to feed and bait deer in Kent and Montcalm Counties after a deer taken by a youth in Montcalm Township tested positive for Chronic Wasting Disease. A nine-township core area is also being created within the two counties with special regulations. The U.S. Department of Agriculture’s National Veterinary Services Laboratory in Ames, Iowa, confirmed Wednesday, October 4, that a 3-1/2-year-old female deer taken during Michigan’s youth deer hunting season in September has tested positive for Chronic Wasting Disease. The animal, harvested in Montcalm Township in Montcalm County, is the 10th free-ranging deer in Michigan found to have chronic wasting disease. The youth hunter who harvested the deer opted to take the animal to a Department of Natural Resources deer check station and then submitted the animal for testing—steps the DNR strongly encourages hunters across the state to take during the 2017 deer hunting seasons. Removes antler point restrictions for the restricted tag of the combo deer license within the nine-township Core Area. Allows antlerless deer to be tagged using the deer or deer combo license(s) during the firearm, muzzleloader and late antlerless seasons. Institutes mandatory submission of the head for testing of a road-killed deer within 72 hours of pick-up. Allows disease control permits, effective immediately, for landowners with five or more acres within the nine-township Core Area. Bans the feeding and baiting of deer in Kent and Montcalm counties, effective Jan. 2, 2018, and encourages hunters not to bait and feed in these areas immediately. The DNR will work with the Michigan Natural Resources Commission to make the order permanent, adjusting as needed in response to the evolving situation. CWD is a fatal neurological disease that affects white-tailed deer, mule deer, elk, and moose. It is caused by the transmission of infectious, self-multiplying proteins (prions) contained in saliva and other body fluids of infected animals. 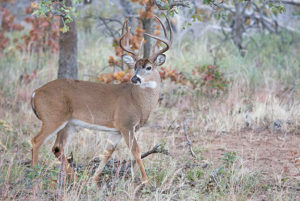 Susceptible animals can acquire CWD by direct exposure to these fluids, from environments contaminated with these fluids or the carcass of a diseased animal. 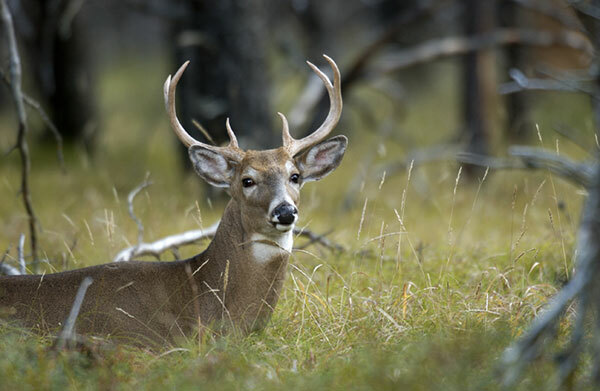 Some CWD-infected animals will display abnormal behaviors, progressive weight loss, and physical debilitation; however, deer can be infected for many years without showing internal or external symptoms. There is no cure; once a deer is infected with CWD, it will die. To date, there is no evidence that CWD presents any known risk to non-cervids, including humans, either through contact with an infected animal or from handling venison. However, as a precaution, the U.S. Centers for Disease Control and the World Health Organization recommend that infected animals not be consumed as food by either humans or domestic animals. Since May 2015, the DNR has actively conducted surveillance for CWD. To date, more than 14,000 deer have been tested since the first positive case was found, with 10 cases of CWD confirmed in free-ranging white-tailed deer identified in Clinton, Ingham and (now) Montcalm counties. As additional deer have tested positive for CWD within Michigan, the DNR has put specific regulations in place. Currently, there are two CWD Core Areas, which are deer management units (DMUs) 333 and 359. To review regulations related to those areas, visit michigan.gov/cwd. Michigan Department of Natural Resources wildland firefighters are on the scene in Montana to help with fires around the state. Michigan personnel on loan in Montana include two three-man engine crews and an incident management team. Photo by Michigan DNR firefighter Cory Mallory. 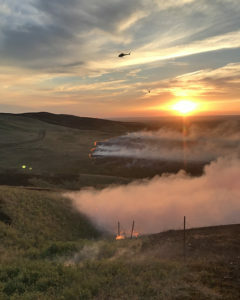 Helicopters fly over a burning hillside in Montana recently as firefighters work to control a grass fire. Two Michigan Department of Natural Resources wildland fire engines staffed by two three-man crews as well as an incident management team are in Montana now helping with fire suppression efforts. Photo by Michigan Department of Natural Resources. Surrounded by smoke, constantly watching the wind and trying to tamp down fast-moving flames, Michigan Department of Natural Resources firefighters using two specially equipped fire trucks have been helping battle grass and forest wildfires in Montana since mid-July. They may do what firefighters call “black lining”—purposely burning a strip of grass to deprive an approaching wildfire of fuel and stop it in its tracks. Or they may “wet line”—dousing combustible materials in the path of a fire to keep a blaze from spreading. Or they might, during a breather from work, do what any of us would: whip out cell phones to shoot a quick video as a low-flying tanker plane releases a belly full of water over a hot spot of burning trees, brush or grass. “Statistically, it’s the grasses that are the most dangerous. They move fast and burn quick,” said Ben Osterland, who led one of two three-man teams that drove the Michigan fire engines to Montana. 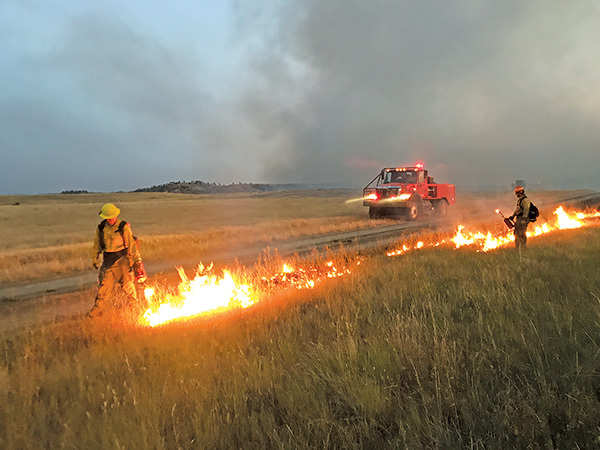 Fires have consumed more than half a million acres across Montana so far this season, and Michigan wildland firefighters are playing critical roles in helping put them out. The engines remain in Montana and a third set of crews rotated into the fire zone this week. In mid-July, Osterland and Cory Mallory each led an engine team, driving the massive, four-wheel-drive vehicles from Michigan to Montana on a 20-hour trek at speeds that maxed out around 64 miles per hour to work long days and live under sometimes primitive conditions. “Montana absolutely loved our people and they love our trucks,” said Lee Osterland, who also worked on an incident management team in Montana this summer. “It’s a really good opportunity to help another state out.” Michigan firefighters also are serving in Oregon and Washington state now and spent time in Arizona and British Columbia earlier this summer. The four-wheel-drive fire vehicles are equipped with brush guards and a winch. They carry 800 gallons of water as well as a pump and two reels of hose. When laying a wet line, the driver may drive slowly along while another firefighter walks alongside, spraying water, and the passenger sprays water from nozzles controlled from inside the cab. Then they set a fire between the wet line and the advancing fire. “You burn the fuel in front of the fire, so you are essentially fighting fire with fire,” Mallory said. Firefighters might stay in hotels if the blaze is close to a big-enough city, but they often camp near the site or even sleep in their trucks. For several days in a row, his crew ate only prepackaged military meals; they also went 10 long days without a shower. But living conditions weren’t the hardest part, he said. “We were away from cell phone service and you could go days without talking to anyone back home,” he said. Mallory also says the hardship is worth it, especially when you’re talking to a rancher whose cattle might go hungry if the fire spreads. “You know you’re making a difference,” he said. As they work in other states, Michigan firefighters gain valuable experience and earn additional certifications. For example, Mallory started his firefighting career as a key man – a temporary, on-call firefighter – during the Upper Peninsula’s Duck Lake Fire in 2012. Since then, he has worked fires in Georgia and Missouri as well and earned certifications to become a crew leader. The Department of Natural Resources is fully reimbursed for all costs associated with sending firefighters on out-of-state blazes. Learn more about DNR firefighting efforts at michigan.gov/firemanagement.